^ Lutz, Robyn R. Software Engineering for Safety: A Roadmap (PDF). The Future of Software Engineering. ACM Press. 2000 [2013-09-07]. ISBN 1-58113-253-0. ^ 危险化学品安全评价的现状及对. 东至县安全生产监督管理局. 2008-07-21 [2013-09-03]. （原始内容存档于2015-10-01）. ^ ANM-110. System Design and Analysis (pdf). Federal Aviation Administration. 1988 [2011-02-20]. Advisory Circular AC 25.1309-1A. ^ S–18. Guidelines for Development of Civil Aircraft and Systems. Society of Automotive Engineers. 2010. ARP4754A. 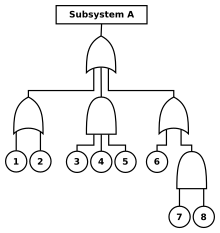 ^ S–18. Guidelines and methods for conducting the safety assessment process on civil airborne systems and equipment. Society of Automotive Engineers. 1996. ARP4761. ^ Air Force Materiel Command Safety Office. Standard Practice for System Safety (pdf). D. 美國國防部. 1998 [2010-03-14]. MIL–HDBK–882D. ^ Bornschlegl, Susanne. Ready for SIL 4: Modular Computers for Safety-Critical Mobile Applications. MEN Mikro Elektronik. 2012 [2012-05-29]. （原始内容 (pdf)存档于2013-06-18）. Grunske, Lars; Kaiser, Bernhard; Reussner, Ralf H. Specification and Evaluation of Safety Properties in a Component-based Software Engineering Process. Springer. 2005 [2013-09-07]. US FAA. System Safety Handbook. Washington, DC: US FAA. 30 December 2000 [2013-09-07]. NASA. Agency Risk Management Procedural Requirements. NASA. 2008-12-16. NPR 8000.4A. Leveson, Nancy. 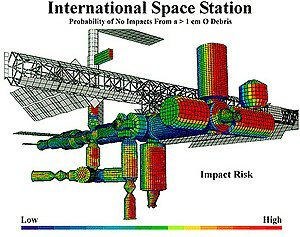 Engineering a Safer World - Systems Thinking Applied To Safety. Engineering Systems. The MIT Press. 2011 [2012-07-03]. ISBN 978-0-262-01662-9.